We are always grateful to get messages from our BART Beacons letting us know of issues and opportunities, and one thing we often get informed of is foam within rivers. At certain times of year foam in rivers and still waters is more evident. This can be a natural event with no adverse environmental implications; alternatively this can be a sign of pollution. The Environment Agency have just released an information sheet which helps explains how to tell the difference and when and how the Environment Agency should be informed. Thanks to Lizzie & Kevin, two of our Beacons on the River Marden for sharing this photos with us! 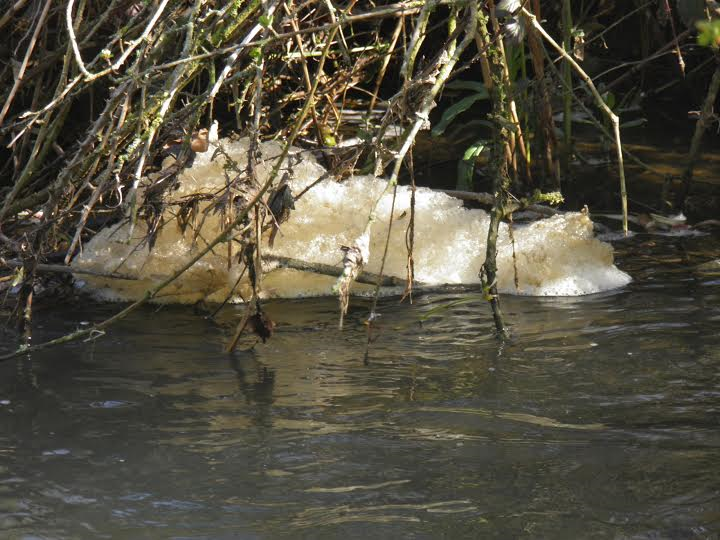 In this case although the foam looked natural, it had a smell of detergent so we recommended that it was reported. Whilst this is not a large enough scale pollution event to warrant an Environment Agency visit, it will help them and us to build up a case if pollution continues to occur. We are always on the lookout for more BART Beacons! If you are interested you can find out more information here.